Maybe you think that big guns and war equipment are not the most exciting things to see. However, do not write off a trip to Stevns Fort. Go on a guided tour into the heart of the old fort. It's bigger than you think, and the stories are gripping and informative. Read more about Stevns Fort. You might have heard of Møns Cliff (Klint), but do you know about Stevns Cliff (Klint)? You might if you come from a foreign country. The place is known around the world as a unique place for fossils from animals that lived more than 65 million years ago. 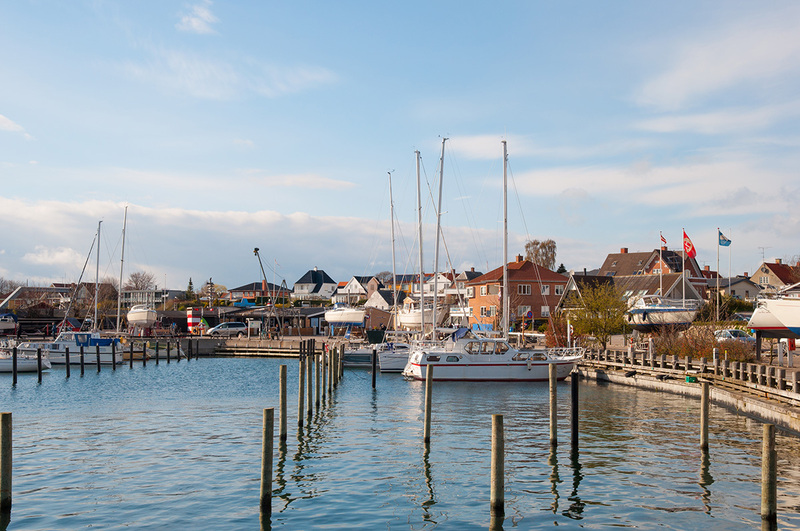 It is one of seven places in Denmark that is on UNESCO’s World Heritage List. Højerup old church hangs at the edge of the cliff. It is also worth a visit. Take a walk down the beach, look up and enjoy the beautiful views. 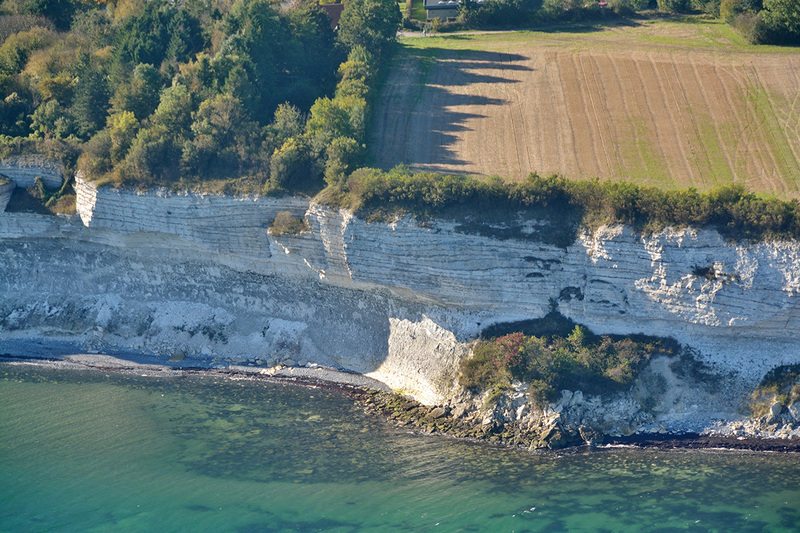 Read more about Stevns Klint here on our UNESCO World Heritage site in Denmark. Only five minutes’ drive fromStevns Cliff you will find Stevns Lighthouse Centre and HAWK battery Højerup, another memorial from the cold war. The place is the highest point on the cliff. You have a great opportunity to see an impressive sight every year – millions of birds migrating. See also the exhibition at the old lighthouse keeper’s residence and enjoy the view from the top. Learn more about Stevns Lighthouse. 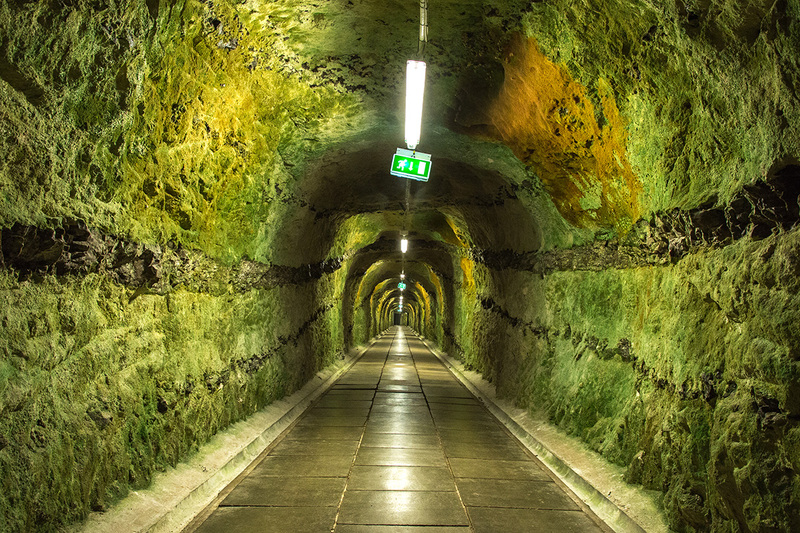 AtStevns, which is also known as Quarry Land, there are ample opportunities to visit several limestone quarries. The most famous is Faxe Quarry. There is a new lookout post which hangs over the Quarry which attracts many visitors. Closer to Danhostel Store Heddinge is Holtug Chalk Pit which lies to the north, or Boesdal Quarry, which is just south of Stevns Fort. All are worth a visit and the trip can be combined with a stroll on the beach as they are located on the coast. 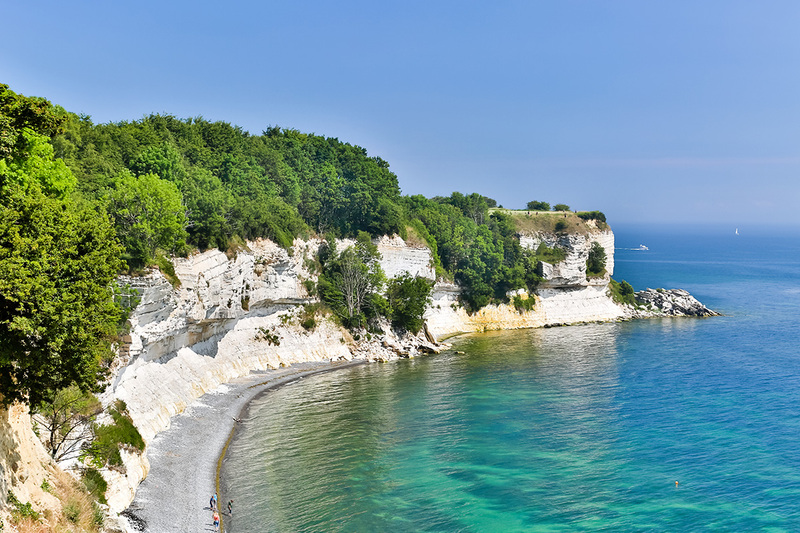 If you like long walks, then experience a hike on the coast when you use the hiking trail, Stevns Klint Trampesti. The trail goes fromStevns Fort along the coast all the way down to Rødvig, which is a cosy harbour town with eateries, a ship museum and a lovely beach. Vallø Castle is owned by an independent institution Vallø Diocese but is not open to the public. However, visitors can walk through the courtyard from 10 am to 6 pm and in the castle park from 10 am to 8 pm. The park lies in NorthStevns and has a view of Køge Bay. Here you will also find the end of Tryggevælde River Valley (Ådal) and the River's outlet. The park is a beautiful nature area with room for activities, and there are several events on site during the year. The estate has as part of Denmark's largest medieval castle. It is possible for groups to get a tour without reservation. Most of the lovely park is open to the public. 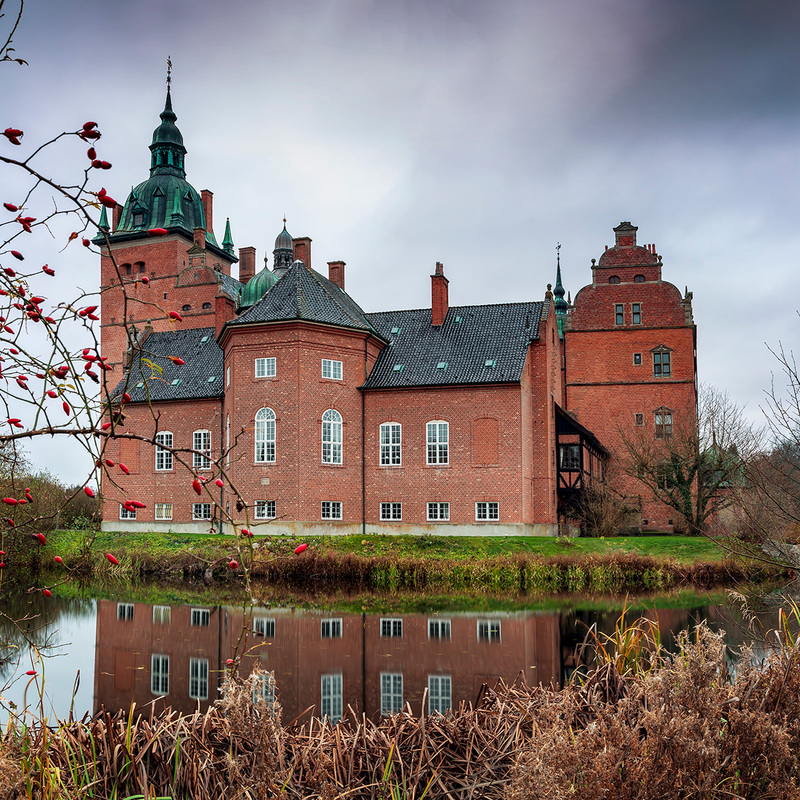 Both Gjorslev Castle and Estate, and Vallø Castle are great places to stop if you are travelling from Copenhagen or North Zealand to Danhostel Store Heddinge and the rest of the attractions at Stevns. Read more about Danhostel Store Heddinge and book here.